I have a scenario I'm playing with whereby I remotely activate AirDroid on my Android phone and email myself with my phone's current IP. The idea being that if my phone is in another room or my bag and I'm at a PC/tablet/whatever, I can still access messages etc. without having to get up off my lazy backside! So, in order to achieve this I have disabled the Setting in AirDroid on Android that says Require Confirmation. Otherwise I'd still have to get my phone and click accept - somewhat defeating my objective! So, everything works fine EXCEPT that if someone happened to guess my IP on the same network while AirDroid was running, they could easily boot me off and have free access to everything AirDroid offers... not good! Is there any way around this? I was thinking perhaps have a pre-shared key or a username and password from within the web client? Also, an option within the web client to shut AirDroid down on my when would be great (because I can't automate this on my non-rooted phone). Is anyone doing anything similar? If it's relevant, I'm using the Lite/free version. Your thoughts would be appreciated. Thanks. 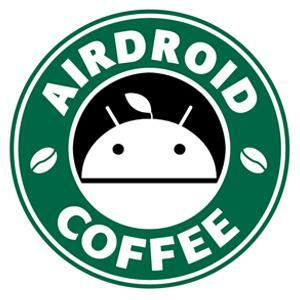 Last edited by airdroid on Fri Jun 19, 2015 8:16 am, edited 1 time in total. Don't have the feature you request now. Will consider that. But why not use AirDroid with account on web.airdroid.com? You don't need to get your phone, just sign in with the same AirDroid account. It would still be nice to be able to remotely shutdown the app.